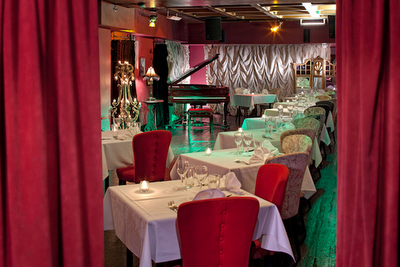 According to its website, Volupté is a world of decadence and delight, the most decadent little super club in town. The burlesque club nestled in the heart of the City's legal district is the perfect place to kick back and indulge in a night of debauched entertainment. London is about to witness another restaurant opening with a sure path to success. The Hakkasan Group brings a new concept to London in the form of HKK restaurant. HKK is inspired by the Chinese banqueting traditions, offering a single, evolving tasting menu of the finest Chinese and Cantonese delicacies at lunch and dinner, created by Chef Tong Chee Hwee. Dishes will include the four treasures vegetables wrapped with Iberco ham, lychee wood-roasted Peking duck served with sesame oancakes, dim sum trilogy of truffle har gau, wok-fried lobster in yellow bean sauce with braised pan mee, deep-fried filler of monkfish with goji berries with champagne and rice wine sauce, and Jasmine tea-smoked Wagyu beef. Avegetarian menu will also be available. The 15-course tasting menu will be priced at £95 and a reduced 8-course menu at lunch will cost 48. 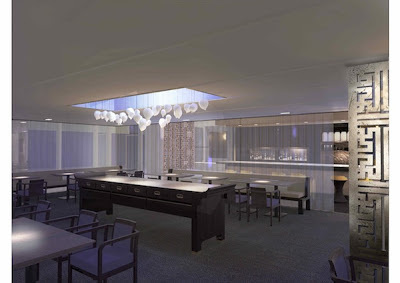 HKK will have £48 seats and a 10 person private dining room. HKK opens on December 5th. For reservations visit HKK website or call +44 203 535 1888. Marshall is a brand born for the Music. Created in the early 1960s by Jim Marshall who, by request from young guitarists Pete Townshend and Richie Blackmore, started selling guitar equipment in his drum store. Amplifiers and headphones also made part of the success of the brand, who understood the needs and expectations of the real music lovers. To show off their products, Marshall is opening a pop-up store in the Mod_ular Blanc space in the Ben Sherman store in Commercial Street. With more than just the products to show, the visitors will be received with live acoustic sessions, exhibitions of rock'n'roll ephemera and exclusive pre-Christmas offers. 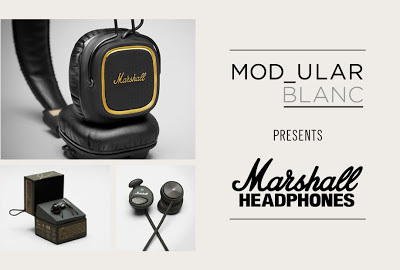 The Marshall pop-up store will be in the Mod_ular Blanc space until January 3rd 2013, from 11h to 19h (monday to saturday) and from 10h30 to 18h (sunday). We Make London is a group of like-minded designer-makers. Their first fair was held in 2008, and since then they've gone bigger and better. This December they are returning to the BAC with 60 hand-picked exhibitors selling everything from jewellery to bath & body to art, plus activities where you can get involved and try some crafting for yourself. 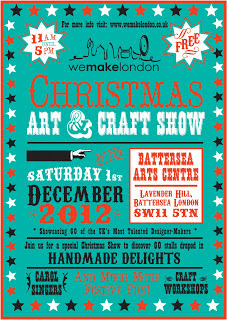 This year the event will take place on the 1st December at Battersea Arts Center. Shoppers will be able to relax in the cosy cafe with a selection of delicious homemade delights. Visitors will also be able to take part in the fabulous, fun activities taking place, from face paiting, carol singing, Christmas craft workshops for both adults and kids including Screen Print a Tote Bag with Mr Wingate, Make a Festive Fascinator with Miss Millinery and many more. Spending the Holidays in London? 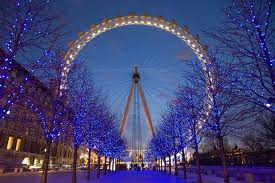 In London for the Holiday Season? Don't miss on the best of Christmas and New Years tips in our Festive Season page! You can find a lot of options to spend the last month of the year with style and enjoy the best of London with your love one, your family and friends. Among our suggestions you can find Christmas markets and fairs, good options for Christmas Dining, Carolling, where to shop for Christmas and much more! Your smartphone might have more use than just for playing Angry Birds or checking your emails. Montblanc has opened a new pop-up store in Harrods, featuring a "virtual" art exhibition and a selection of exclusive pieces. 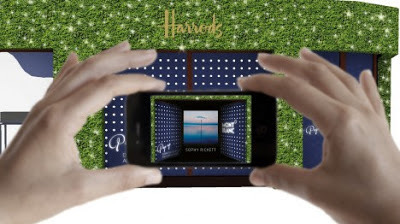 Until 24 November, shoppers will be able to view an extensive selection of artworks from the Montblanc Cutting Edge Art Collection, permanently exhibited in Hamburg, by simply pointing their smartphone or tablet at the specific image that will be displayed in one of the Montblanc Harrods windows on Brompton. 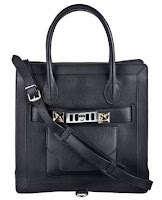 Within Montblanc's virtual art pop-up store, and as a first in the UK, Harrods is selling foir exclusive products from the Montblanc writing instruments, watches and haute joaillerie. The Aurasma Lite App can be downloaded for free here. Karl Lagerfeld has teamed up with Japanese beauty brand Shu Uemura to create a new collection of make-up, skincare and accessories. The Chanel creative director is well accustomed to the brand, having used Shu Uemura cosmetics to had-color his fashion sketches for over two decades and explaines that "other manufacturers do not offer such beautiful colors". Dubbed Mon Shu Uemura or My Darling Shu Uemura, this limited edition collection include lipsticks, nail polishes, eyeshadow palettes, make-up tools and cleasing oils. The star of the collection is the luxurious Ruby Eyelashes. A stunning false eyelashes with real ruby will cost around $1,500 and is the combination of the Japanese pop of Shu Uemura with Karl's Parisian chic. In Harvey Nichols' fifth floor bar, a touch of the Alpes was brought to Knightsbridge. 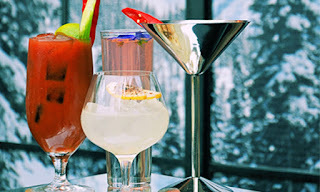 With all the style of a fancy ski resort with a log cabin feel and vodka cocktails, the Elit Freeze brings you the après ski without having to climb a mountain. Instead, it's luxury all the way with snug blanckets, faux sheepskin rugs and fane deer head trophies. Elit, the sponsor of the event, is part of the Stolichnaya vodka brand, who are launching two new flavours at the pop-up. Stoli Hot and Stoli Sticki will be available to try, as well as vodka ice pops, and a whole range of exciting cocktails, such as the Stoli Jalabarbinger - a mix of Stoli hot, rhubarb and ginger. Tapas dishes are also available specifically designed to match the cocktails and include the likes of hot tiger prawns, lamb kafta and jalapeno poppers. The bar will be open until New Year's Eve. Booking is advised. For more info go here. 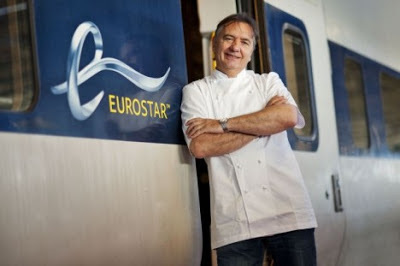 Chef Raymond Blanc has unveiled the new menu he has revised for Eurostar, with dishes inspired by the rail network's french, British and Belgian destinations. Poached pollock in an English white wine sauce and an apple, celeriac and Belgian pas de bleu cheese salad are among the courses available from this month to the passengers travelling in business premier class. If you are a fan of Apple products, you probably heard of their latest lauch, the iPad Mini. 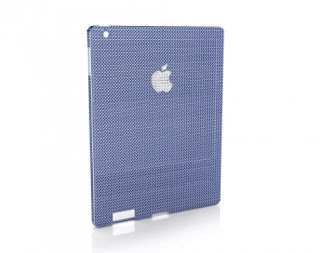 But if you are also a fan of unusual gadgets, this case can for sure make you iPad unique. Following on from a US$100,00 gemstone-set iPhone case, the Natural Sapphire Company has unveiled an 18K high-polished white gold iPad Mini case set with 3,328 natural Sri Lanka blue sapphires with a total weight of 599 carats. An Apple logo on the case is set with 50 round brilliant diamonds weighing five carats. The Natural Sapphire Company stated that this iPad Mini case in the bigger and "better" version of the iPhone 5 case and is prices at $700,00.